Welcome to Anaheim, California! 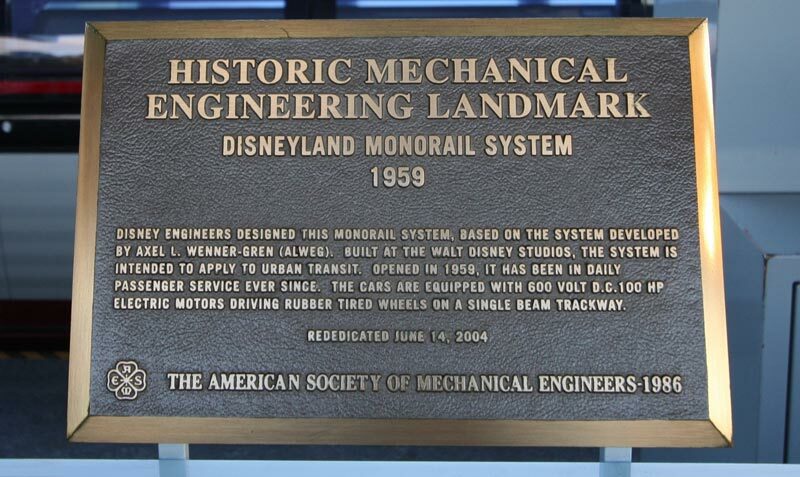 We're in the Disneyland Resort, home to one of the most iconic monorails in the world. 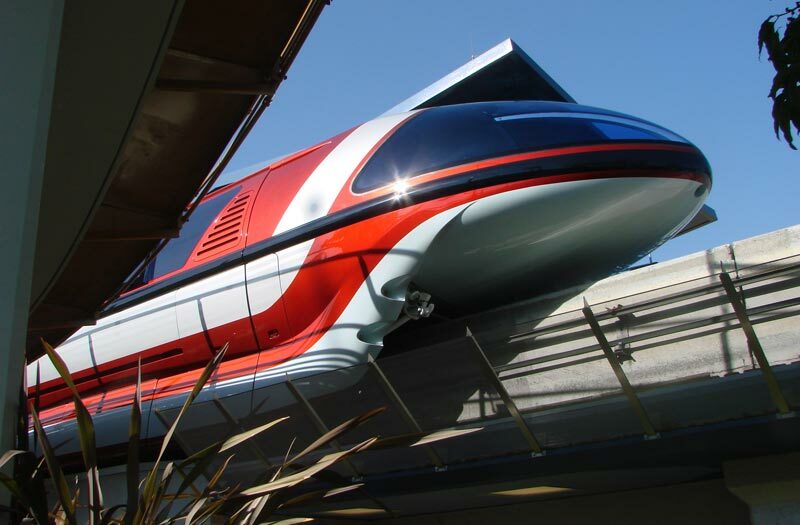 In January of 2009, TMS member James Horecka and I spent a sunny photo mission day, walking the park and surrounding resort area to capture two of the new Mark VII monorail trains. In addition to three new monorail trains, two of which were on beam during our photo day, the monorail station has had a major reconfiguration in recent years. 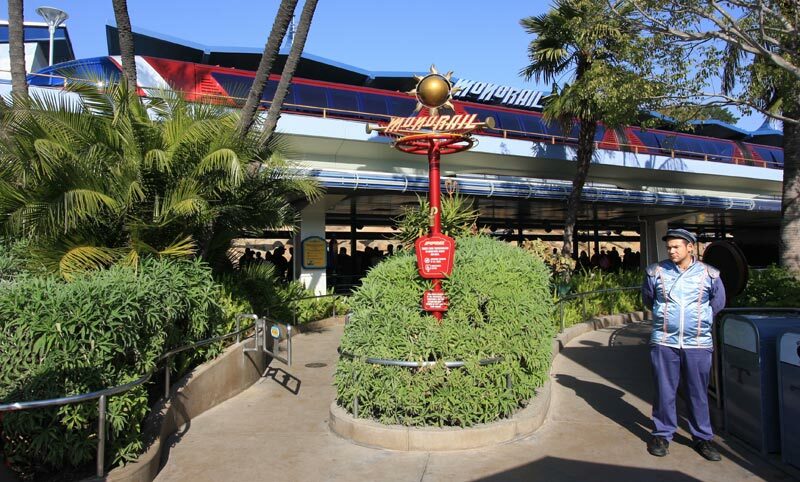 This is the new entrance, which is now in front rather than to the left side of the platform, as it had been since the monorail debuted in 1959. The in ramp is to the right, the exit ramp is to the left. 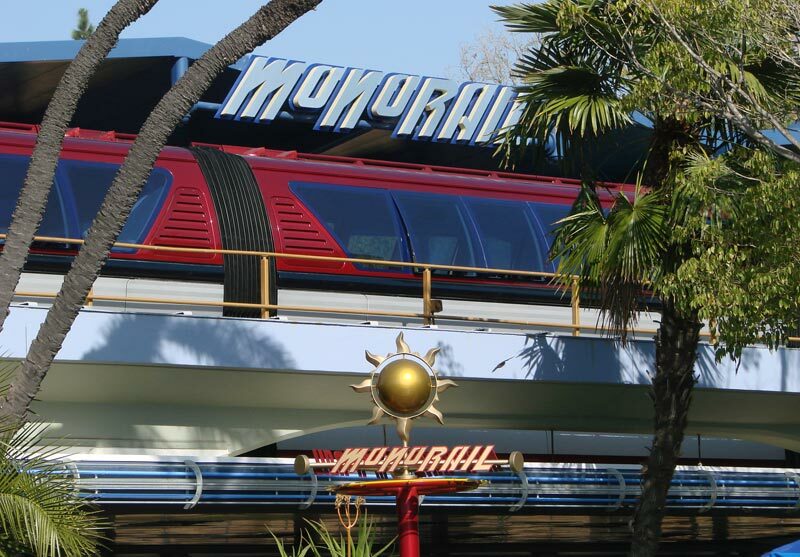 Meet Monorail Red, and we do mean RED! As we climb up the new station access ramp, we start to appreciate how bubble-like and bullet-like the new train nose design is. James looks at the vintage 1959 departure track, which is connected to the 1961 Disneyland Hotel access track. 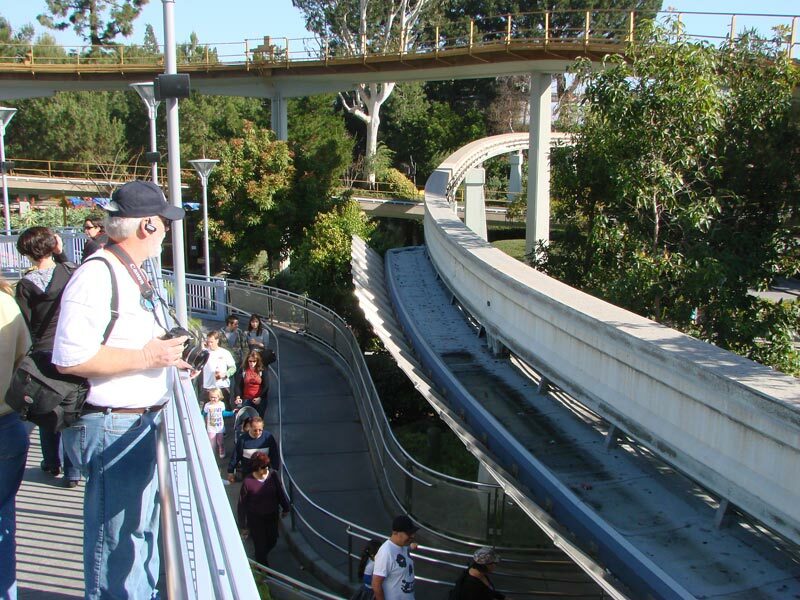 For the first two years of the monorail's history, this track took a sharp left and remained within the park boundries. The new access ramp winds its way back to one of the Finding Nemo Submarine waterfalls. The ramp provides great views of the monorail crossing over the submarine lagoon, and we'll get to those pictures a bit later.